NetPicks is an online trading strategy company. The company discussed forex or FX trading. This is based on speculating if the currency prices for the pairs will increase or decrease. Forex trading is an electronic financial exchange for currency pair trades in a decentralized market. This occurs in major cities including New York, London, Paris, Sydney and Tokyo. NetPicks provides traders with a live signal service and charts. Most traders prefer trading on the spot or spot trading. Trading can also be done through the futures and forward markets. NetPicks believes so many traders prefer currency pairs due to the substantial liquidity of the market. The trading volume of FX on the average day is $5.2 trillion. There are only a few options available in the forex market. The currency pairs traded most often include the U.S. dollar versus the yen, the pound sterling versus the U.S. dollar, the euro versus the yen and the U.S. dollar versus the Canadian dollar. Exotic currency pairs are available but the financial gains are outweighed by the risks. A forex trader must understand the common terms. Leveraging is using a margin account to spend a small portion of the investment. The PIP or price interest point is the gain or the loss. The fourth decimal is used to price currency pairs. A pip is one basis point. The bid price is the amount buyers will pay for each pair. The ask price is the price currently being asked for a currency pair. The spread is the difference between the ask price and the bid price. This is measured in pips. NetPicks advises determining the risk factors prior to making a trade. Pairs are selected when the trader believes the base currency will become stronger than the quote currency. The pair is sold when the trader feels the quote currency will become weaker than the base currency. The trader can observe the market prior to placing an order or selling. NetPicks advises all new traders to research and study the forex marketing prior to trading, refer to (Crunchbase.com). A good education will improve the chances of success. Global finance is an area wherein many solutions have been put forth to have a unified system of payment for all to use. From mobile payment systems on today’s smartphones to the rising up of cryptocurrency, these are a few of the ways that many have strived to make a seamless system of global currency. On the scene is Jed McCaleb with a vision that is making headlines the world over. As the creator of Mt. Gox and Stellar CTO, Jed believes that within the next 10 years there will be a global payment system across the world that process payments. This is surely a vision of the times as many are waking up to the benefits of blockchain technology and cryptocurrency the world over. Having the necessary background in banking and finance, Jed McCaleb is a phenomenal figure in the world of global finance. As being the CEO at Stellar, he fosters the idea that the present day financial systems are not meeting the needs of the world at large. Having an impressive background allows this man to continue to trailblaze in directions many would not. Being born in Arkansas, Jed McCaleb knows the definition of hard work and pursuing one’s dream with determination and sheer will. Aside from his quest for a global payment system, Jed is also heavily involved with philanthropy around the world. With having his interest in artificial intelligence, he is a major donor there as well. With his mind aimed in the direction of meeting the global demand in the financial sector, the world of cryptocurrency has just received a fresh jolt of energy to become the preferred method of payment processing across the globe. Jacob Gottlieb was born in Brooklyn, New York. He was born into a family of immigrants from Poland who had landed in the United States in the 1960s. He was born by parents who had everything going on well for them in professional careers. His father, Max was a professor of economics while his mother was a pediatrician. The careers of his parent influenced the person he has become today. He has had interest in both industries- healthcare and economics. In his future career, he followed lessons that he had learned from his parent at a young age. Jacob Gottlieb developed interests in trading at a very young age. In he won his first contest in trading while he was in 7th grade, there was a trading contest in his school, and he emerged the overall winner. This can now be related with the influence his father’s career had on him. His father was thrilled that his son had developed prowess in trading at a very young age. He opened for him an investment account that he would use while still in school. By the time Jacob was completing his high school education, he was ready to pursue the careers which he was passionate about. He was ready for economics and medicine. Jacob Gottlieb went to Brown University where he graduated with a Bachelor of Art in Economics. He also attended the New York University School of Medicine, where he graduated with a Doctor of Medicine. His first interest was in medicine. He worked at St. Vincent’s Hospital as an intern in order to grow his skills in medical practice. Jacob Gottlieb did not stay for long in the industry. He was ready for a switch. He decided to pursue interests in the financial industry. He joined Wall Street as Chartered Financial Analyst. His first role in Wall Street was with a company that covered both aspects of his careers. The firm was known as Sanford C. Bernstein & Co. His work was to analyze the global healthcare industry. He later left the company and moved to Merlin Biomed Group as a healthcare portfolio manager. In this new position, he did not last for long; he made another move to Balyasny Asset Management. It is in this firm where he showed his prowess. His portfolio made huge profits. He became on one of the top earners in the Wall Street. Any business that receives the annual BBT Torch Award is often regarded to be in elite company. The award is given to businesses that demonstrate conducting operations in the most ethical manner. In 2017, the company known as Aloha Construction announced that it received on of nine Torch Awards for Marketplace Ethics. As a local roofing and siding contractor, Aloha Construction has proven to be among the most reputable companies in the industry. This award proves that they are not only a company that provides great service, but one that also operates with complete integrity. The president and CEO of the Better Business Bureau said that companies that receive the Torch Award are able to distinguish themselves by running their businesses in a way that includes a high level of ethics. As a result, a company such as Aloha Construction is one that is now widely recognized as a company that consumers can count on to provide trustworthy services. The CEO of the Better Business Bureau of Northern Illinois has also said that Aloha Construction understands the importance of their employees, customers, stakeholders and members of their community. They are all necessary to ensure the overall success of the company. With the Torch Award, businesses will be encouraged to do their absolute best since it highly beneficial to everyone involved. One of the reasons why Aloha Construction won the Torch Award is because of its work in charitable activities. The company has established itself as one of the more forward thinking companies in the industry. During the decision making process, a panel of 15 judges found out about the Aloha’s charitable activities. These included a partnership with Omni Youth services, an all expense paid Christmas shopping spree for needy children and also an affiliation with the Bloomington Illinois Boys and Girls Club. With all of its charitable efforts, Aloha has proven to be not only a company that conducts business in a reputable fashion, but also one that is heavily involved in its community. The numerous positive contributions the company made convinced the panel of judges to give the company this highly prestigious award. Dr. Saad Saad is a gifted pediatric surgeon who has been saving lives for over 40 years. He was born in Palestine and grew up in Kuwait. He worked very hard to become as successful as he did and he is very devoted to his patients as well as his family. He even served the royal family, in Saudi Arabia for four and a half years. He has made many sacrifices and has gone on four Medical Missions within the United States and eight to Jerusalem and the West Bank. He feels that everyone is entitled to medical care no matter how much money they have, what their ethnicity is, or where they live. While serving as a pediatric surgeon for the royal family he worked at the King Specialist Hospital. He was called on by the chief and protocol office to perform complicated and advanced surgical procedures. He has even operated on the youngest child with an aneurysm, and the procedure that he used was recorded to be used by other surgeons since it was successful. Dr. Saad Saad is a believer in invention and has invented the catheter with integral electromagnetic location identification device. This device makes it possible to locate a catheter inside the patient’s body without the need for a machine scan. His invention makes it possible to locate the catheter with the use of electromagnetic energy and makes for a less invasive procedure for the patient. It also makes it easier for the doctor to locate the device. It works much like a metal detector and is portable as well as practical. The only downside is that it is expensive an difficult to manufacture but it hasn’t gone unnoticed and is expected to be integrated into surgical procedures in the future. He graduated from the Cairo University with honors. He became certified in the United States and had kept up his board certification for many years. It requires difficult training, passing challenging exams and tests and taking on advanced surgical practices every ten years. Dr. Saad Saad also improved the endoscope so that it works better and the doctor can see inside the patient’s body without the lens fogging up. This reduces the need to have to remove the endoscope in order to clear the lens and then having to reinsert it. Dr. Saad Saad has used his own invention many times in his own surgeries, and it is practical as well and inexpensive to manufacture. Juan “OG” Perez rounded up his 50th birthday in true extravagant fashion and style alongside his celebrity friend and socialite, Jay-Z, who dished out nothing short of the best for Perez’s big day. Hip hop mogul, Jay Z was not shy about expressing his appreciation for Juan “OG” Perez as he spent about $113,000 on birthday celebrations extravaganzas for his close and personal friend. From restaurants, nightclubs and a never ending revolving door of bottle popping, it was a night to remember for Perez and his small accompanying group. Juan “OG” Perez, the president of Roc Nation Sports and his long time friend and business partner, have been partners in crime for decades after meeting through a mutual friend at Roc-A-Fella Records in ‘96. Through the years, rapper, Jay Z has referenced OG a few times on a few of his records and their popular nightclub and sports lounge in New York, 40/40, is a rave around town. Jay Z and Perez have no reservations in admitting that their love for sports entertainment ability to intertwine the two tied their strong bond together and birth the powerhouse known as Roc Nation Sports. Over the years, the unstoppable pair have achieved plenty by keeping to their Roc Nation Sports’ mission statement of always supporting and advocating for athletes in the industry as the Roc Nation brand has continuously done for musical artists. The brand and its focus of ensuring the excellence of both artists and athletes alike in every aspect, not just on the field. Utilizing Perez’s ability to focus on individual needs and development and Jay Z’s and platform in world of entertainment, the duo have committed to the tending of each athlete’s individual success, which is unique and groundbreaking for the brand. 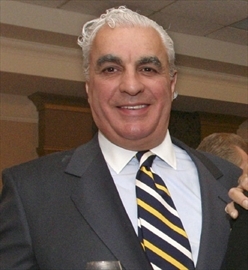 Gregory Aziz is the CEO of the National Steel Car, one of the leading producers of rail products in North America. Greg Aziz did not start his career in the industry but rather as an employee in the banking sector. He was offering investment advice to his clients when he came across the opportunity to purchase the National Steel Car. Aziz was so good in his areas of expertise such that every time he had an opportunity to work for a firm of his choice, he would leave a clean track record of achievements. He, however, did not feel good running others’ companies. He wanted to have his own business which he could grow. Greg was prepared to make changes with the talent he had in running a business, but he wanted it to be on his terms and in his business. This was when he decided to purchase the National Steel Car. Gregory James Aziz is that kind of person who feels good by helping others. His reason for owning a business was influenced by the need of working for the people and assisting them in managing vital sectors of the economy which might have been ignored in the past. The rail sector is treated by some people as an old means of transport that is not profitable, but this is far from the truth of the matter. The rail industry is still lucrative. Investors like Gregory Aziz understand that as long as there is the production of goods, the rail industry will continue thriving. It is one of the main means of transport that is used for bulk transportation. With the purchase of the National Steel Car, Greg Aziz had an opportunity of engaging in one of the vital businesses in North America. What is surprising to many people who saw him buy the company is that he made the decision to buy it at a time its production capacity was too low and even looked like it was about to collapse. Go To This Page for additional information. Gregory James Aziz took this company in 1994, and after five years, there was already a clear growth in the company. It was doing very well in the production or railroad freight cars that it had even surpassed its best production ever. Gregory James Aziz proved to have the know-how on the management of business opportunities. He took this company when it was about to collapse and managed to turn the fortunes in a very short time. Currently, it is one of the biggest rail products firms in the world. Mina Ebrahimi is the founder and chief executive officer of Saint Germain Catering. She has build the catering company into a highly successful venture over the last several years. Her parents were immigrants to the United States who came in the year 1978. With the inspiration from her parents, Mina would work hard to achieve her goals in business and in life. She would use her passion for cooking to form her company. During the process of building her company, she would emphasize not only making quality food, but also providing excellent service to customers. Starting at the young age of 11, Mina worked at her parent’s bakery in the suburb of Seven Corners, Virginia. During her time working for her parents, she would develop the skills necessary for providing customer service. Mina would then help oversee the family café to Tyson’s Galleria which would then become Saint Germain Café. At age 26 in the year 1999, Mina would found her own company. The company would begin serving corporate clients as well as weddings and other special events. She would help grow the company into one of the most successful catering businesses in the area. This growth would include providing the business into a full service catering company. The services would include business luncheons, weddings, parties and other special events. Today, Saint Germain Catering employs over 30 full time and 8 part time workers. As both an entrepreneur and a local business owner, Mina has been recognized for her excellence in business. She received a number of awards that included the 2014 Enterprising Women of the Year Award and the Washington Business Journal 2010 Top 40 Under 40 Award. She would also be named the winner of SmartCEO’s Brava Awards as well. Along with being a recognized entrepreneur, Mina has also been very involved in philanthropy. She has been among the most generous and charitable business owners in the area. She supports a number of non profit organizations in the Washington DC metro area. These organizations include Operation Homefront which helps military personnel and their families. With her charitable contributions, she has been able to make a positive impact on her community. GC Report’s article “The Road to Building Stellar with Jed McCaleb on Block Zero” describes the co-founder’s path to creating the recent blockchain company. Though the company was created in 2014, the path McCaleb took to create it was winding. He created this financial network as a non-profit to help repair the outdated infrastructure of the current financial system which currently limits the potential economic improvement within the world at large. The company connects technology and digital financial literacy. McCaleb hopes the company will eventually allow for full participation in the world’s economy. McCaleb first became interested in digital finances in 2010 after he read an article on the popular technology site Slashdot. The article discussed a new technology called Bitcoin. McCaleb’s interest led him to the popular bitcoin centered chat called Bitcointalk. He was interested in the idea of a currency that wasn’t controlled centrally, but he wasn’t entirely sure it was possible. After encountering the idea, he created a centralized trading exchange for Bitcoin called Mt. Gox. Mt Gox was one of the few exchanges available at the time for the digital currency and at one point in 2011, it controlled nearly 80% of all the cryptocurrency exchange. In 2011, McCaleb left Mt. Gox and sold it to Mark Karpeles, a software developer. Though he retained a small stake in the company of 12%, he wanted to dedicate his time to solving the issues at the heart of Bitcoin. According to McCaleb, one of the largest issues the cryptocurrency was facing at the time was the inefficient mining abilities. It bothered McCaleb to the point of starting another company to solve the issue. The company eventually grew beyond McCaleb’s idea for it and became bigger than the original idea. Then in 2014, McCaleb started the Stellar protocol. The Stellar Development Foundation was founded to oversee it. It was created to oversee the internet-level protocol for payments of the cryptocurrency. McCaleb wanted to create a network of banks and other financial institutions that could function in a similar way to email, streamlining the process. McCaleb is also the advisor for a variety of companies like Machine Intelligence Research Institute and Mobius. More: Jed McCaleb on LinkedIn. Some people are lucky to become or get something they have desired since their childhood. If certain successful people tell you they became what they aspired to become when they were still children, you may not believe it. Nonetheless, this has happened to some people like Clay Hutson. He ever desired to excel in the music industry since his childhood, and this has become a true story. Hutson studied at Central Michigan University where he graduated with a theater design degree. He then went to the School of Business at Stephen M. Ross for his master’s degree in business administration. Hutson was lucky to get some job opportunities in some of the live entertainment companies in Tennessee and other states. At one point, he was a sound engineer and a project manager. Hutson had a passion for the music industry although he first joined the entrainment field. He used to travel with a sound team Billy Graham owned. He worked in corporation entertainment for some time before switching to music. ‘Rock and roll’ is what Clay Hutson was passionate about for a longhttps://twitter.com/@Clayhutson1 time. Most of the job opportunities he got exposed him to professional skills in live entertainment management, performances, and sound engineering facets. With such skills in his mind, Hutson thought of starting his own business. These skills helped him to discover the natural entrepreneurial talent he had. He moved on and succeeded greatly in his endeavor. His business attained incredible growth. His reliable and impeccable work earned him an unmatched reputation. Hutson has traveled to many countries in the past with several musicians. Garbage was one of the bands that saw him travel to countries like Europe. He also traveled to Australia and North America with some other entrainment bands. In one of his biggest tours, Clay Hutson operated an automatic rigging system named One Republic. It’s among the notable and greatest accomplishments Hutson ever had.